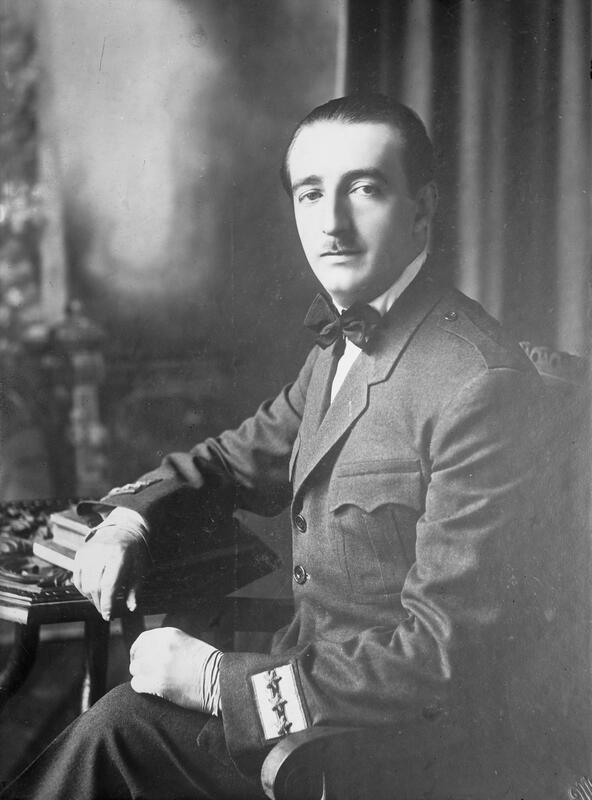 On the night of February 21st, 1931 the King of Albania, Zog was leaving the State Opera House in Vienna after watching a performance of the Italian opera Pagliacci. There were two men waiting outside for him. They were hoping to make life roughly imitate art. The opera’s storyline concerned a murder that involved a romantic entanglement between a servant, village girl and a couple of brothers. Zog must have found the storyline familiar. He was no stranger to the idea of murder for vindication. This was a man who while prime minister in 1923 had been shot three times on the steps outside of parliament in the Albanian capital of Tirana. Instead of being whisked away for immediate medical care, Zog steadied himself, entered parliament and gave a speech while still bleeding. If a man wanted to be leader of Albania, he had better be prepared to suffer such traumas. Zog’s winter sojourn in Vienna had been his first trip abroad since he had been crowned king. The decision to create a monarchy was Zog’s own. He had been President from 1925 – 1928, but his ambitions were far greater. In 1928, he became the first Muslim king of a European nation. Uniquely, he had sworn an oath on both the Koran and the Bible. This was not as strange as it may seem, though Albania was a majority Muslim nation, it also had sizable populations of Orthodox and Catholic Christians. Symbolism at the coronation was not just religious either. Zog had worn a gold crown that weighed nearly eight pounds. With Zog’s decadent pageantry, Albania joined the rest of Europe with a royal house, albeit at a time when monarchies had lost most of their power on the continent. The Albanian state was playing catch up by looking backwards, rather than to the future. Albania was primitive, even by the standards of developing countries at that time. The country was plagued by poverty and illiteracy. Zog had introduced education reforms to deal with the former, but regarding the latter he relied on Italy to provide foreign investment. To do this, concessions had to be made which allowed the Italians a decisive role in the economy. Zog had not helped matters, by constantly raiding the country’s finances for private gain. He hoarded gold and precious jewels which were the state’s only hard currency. Zog was both a modernizer and a bandit. Meanwhile, the average Albanian was forced to live in dire poverty. Homes were nothing more than hovels, while annual personal income was barely enough to subsist on and infrastructure was rudimentary. It was by far the poorest nation in Europe. Being Europe’s newest and certainly its most exotic monarch meant that Zog was not exactly accepted by the European community of nations or nobility. He had little reason to leave his nation on international travel. There was the serious business of running a dictatorship. Better to stay at home in order to keep a finger on the pulse of the disparate factions and would be rebels who would have liked nothing better than to see Zog relieved of not only power, but also his life. The threats Zog experienced were a direct offshoot of the fact that Ottoman Turkish rule in Europe had lasted longest in Albania. It was not until after the First Balkan War in 1913 that an independent Albanian nation was established. Oriental intrigue and cut throat court politics were the legacies of Ottoman rule. Zog’s real name had been Ahmet Muhtar Bej Zogolli. His family was a beylik, feudal provincial chiefs in the Ottoman system. Backwardness and blood feuds had permeated Zog’s upbringing. He carried on this tradition when he came to power, murdering or exiling political opponents. Of course, Zog had reason to be nervous, his enemies were legion. He was so scared of being poisoned, that he placed his mother in charge of the Royal Kitchen. To ensure loyalty within the army ranks, he placed four of his sisters each in charge of an army division. He trusted only his fellow tribesmen from the Mat District of north central Albania where he had once been governor. This made it difficult for him to go anywhere outside of his capital or tribal homeland. He tried not to be seen in public. Yet despite his intense paranoia, Zog had pressing medical issues that called for better care than could be found at home. His health problems were not surprising when one considers his lifestyle of all night poker games and a habit of smoking on average 150 cigarettes a day. In 1931 he finally decided to venture abroad. This brought him to that fateful moment in Vienna. 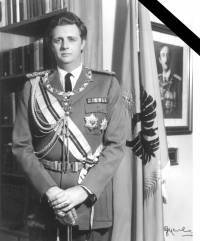 Was this to be the end of Zog and the Albanian royal throne? The two would be assassins opened fire before Zog and his entourage could get away in their car. Zog’s aide de camp took a bullet for the king and was killed, his minster of court was also wounded, but Zog came prepared. He pulled out his own gun and opened fire right back. He is the only known modern leader to fire back at his assassins. Security for Zog was a matter of personal response. Zog survived the exchange without even a wound. This would not be the last attempt on his life. He is said to have survived an incredible fifty-five assassination attempts. Several years later it was not just many of Zog’s own people who wanted him dead. The Italians just missed capturing him when they invaded in 1939. Zog – who had been so averse to international travel – than began a career in exile where he hopscotched from one country to another, including, Greece, Egypt, Great Britain and finally France where he would die thirty years after the brush with fate in Vienna. By that time, Zog had among other things bought and sold an estate in New York and inhabited a whole floor of the Ritz Hotel in London. He paid his hotel bill with bars of gold bullion. In his life, Zog had been part of a beylik, a governor, a president, a prime minister, a king and an exile. He had lived in one empire, one newly formed nation and four other countries. He had married an impoverished half-Hungarian, half-American aristocrat. He met her on that same trip abroad that took him to Vienna in 1931. She had caught his eye in Budapest at the Hungarian National Museum where she was working at a job selling postcards in the gift shop. They stayed together for the rest of his life. 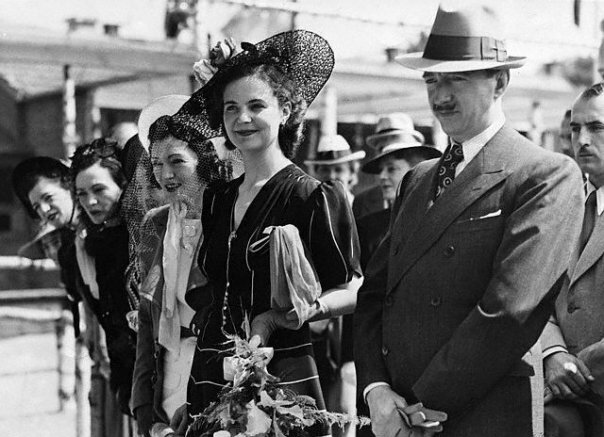 Zog would never set foot on Albanian soil again after his exile in 1939, but his wife, known as Queen Geraldine did. In 2002 she died in Albania. As for Zog’s legacy, perhaps it is best summed up by his son Leka’s attempted returns to the claim the throne. The first time in 1993, he tried to enter with a passport that had been issued by his Royal Court in Exile. On the document his profession was listed as “King.” In 1997, after a failed pyramid scheme collapsed the economy (these things could only happen in Albania) and wiped out most of the population’s savings, Leka attempted to reclaim the throne by referendum. Two-thirds of Albanians voted against him, but Leka charged that the election had been a fraud. The upshot literally was a shootout where one man was killed, but not Leka. Like his father, he was a survivor. Later he was allowed to return for good. He died there of natural causes in 2011. Finally in late 2012, Zog’s remains were moved from a cemetery outside of Paris back to Tirana where they were interred in a mausoleum. The king had returned home, in death if not in life, and the Albanian experiment with monarchy was finally laid to rest.